If you don’t shop or skip between the 1st and the 5th of the month, you’ll be charged 49.95 € for a member credit on the 6th. You may redeem your credits at any time. The choice is yours: when you become a VIP member, shop or skip to avoid a 49.95 € subscription charge. 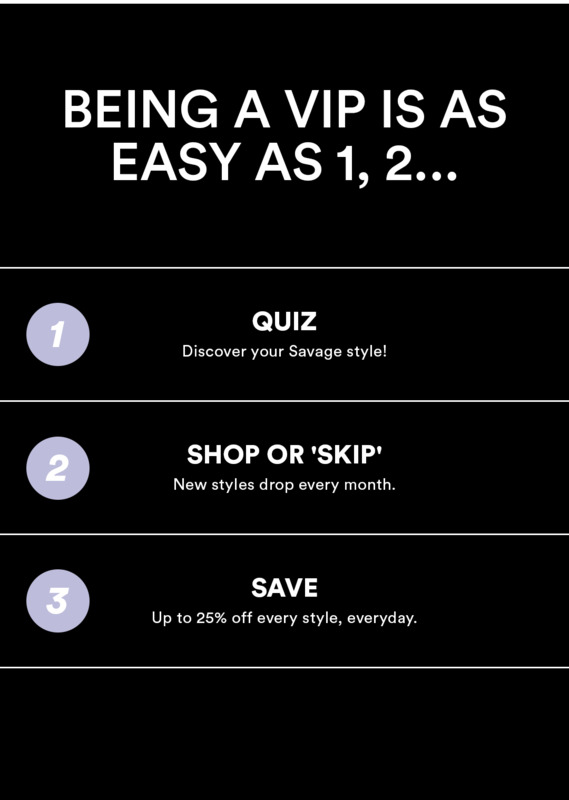 All charges become a VIP member credit that can be spent at anytime! To avoid the charge, make another purchase or log into your account and click the “skip the month” button on your boutique page by the 5th of every month. *Exclusions and limitations apply. See Terms of Service for additional details. #savagexfenty How do you #SavageXFenty?